Unalloyed felicity is the best way to describe D-STRINGZ, the new disc by the cooperative trio – violinist Jean-Luc Ponty, bassist Stanley Clarke, and guitarist Biréli Lagrène. These three distinctive titans consolidate their singular voices while exploring vast stylistic idioms within jazz’s expansive realm, resulting in a cohesive sound that plays to the strength of each individual’s virtuosity and more importantly their keen sense of musical interactivity. Each of these musicians are renowned for their incredible work within the electric jazz realm; D-STRINGZ shows them venturing into the acoustic realm and exhuming four jazz gems while also contributing fetching originals that shine new light to their individual gifts as composers. Given the ardent accord they display on the album, their history together as a unit is relatively short. The trio’s origins date back to 2012 when French jazz impresario and the disc’s associate producer François Lacharme, produced an all-star concert at Paris’ Chatelet Theatre to salute Ponty’s 50-year-long career. In addition to performing with an orchestra, Ponty organized two trios, one of which included Clarke – a longtime music collaborator – and Lagrène, whom neither Ponty nor Clarke had yet performed with prior. The three only performed five pieces during a 20-minute set, yet the performance’s impact was so immense that it inspired Lacharme to converse with Jean-Philippe Allard – jazz director of Universal Music France and general manager for Impulse! Records – about the prospects of recording them. Two years later, the three nestled inside the ICP studios in Brussels for four days to record D-STRINGZ. The acoustic violin-bass-guitar setting isn’t new for Ponty or Clarke. The two released the critically acclaimed Rites of Strings disc in 1995 with the legendary Al Di Meola; but as Ponty notes, that trio focused solely on original compositions while also delivering music structures more aligned with jazz-rock. D-STRINGZ, in comparison, yields closer to straight-ahead jazz while also retooling a few jazz standards. The first standard to appear on the disc is Jimmy McHugh and Harold Adamson’s 1955 ballad, “Too Old to Go Steady,” which was wonderfully rendered by John Coltrane on his classic 1963 Impulse Records! LP, Ballads. Here, Ponty articulates the composition’s lamenting melody as Lagrène strums alluring chords and Clarke anchors them with a simpatico counterpoint. Soon after, Lagrène takes the lead, alternating between single-note lines and succinct chordal strumming. D-STRINGZ references Coltrane again – and more directly – with its delightful reading of his 1957 composition, “Blue Train,” on which Ponty swings the melody masterfully, while animating it with capricious embellishments and sharp cries that demonstrate his fluidity in hard-bop. Clarke supplies the rendition with an ebullient walking bass line while Lagrène gussies up the rhythm with his spry comping before launching into a knotting improvisation, which gives way to Clarke’s blues-laden aside. The trio tips its hat to French-Romanian jazz legend Django Reinhardt with an inventive makeover of his 1940 hit, “Nuages.” Ponty recasts the “hot jazz club” staple with a supple bossa nova undercurrent, initially powered by Lagrène’s spidery accompaniment and Clarke’s dancing pulse. Josef Zawinul’s 1966 “Mercy Mercy Mercy,” which became a smash hit for Cannonball Adderley, rounds out the standards on D-STRINGZ. The idea to cover the soul-jazz classic was rather impromptu after the trio had challenged itself with Coltrane’s “Blue Train.” While taking a break, the song popped into conversation, which led Ponty to search for it on YouTube . Then voilá; the trio delved into the gospel-infused tune. The original tunes from the band are equally mesmerizing. D-STRINGZ kicks off with a splendid take on Lagrène’s intrepid “Stretch,” which first appeared on his 1990 disc, Acoustic Moments. After the trio tackles the compositions’ tricky introduction, the updated version takes on a more groove-laden pulse as the trio ricochets snippets of melody with blinding speed. The funk continues with Ponty’s “To and Fro,” an original that he penned in 2005 for another trio with Clarke and banjo player Belá Fleck. The trio retains the original’s electronica dance feel by asserting its serrating rhythm with Lagrène first tickling out 12-note riff, followed by Ponty then Clarke. The song also allows Lagrène to showcase his affinity for R&B-inspired rhythmic guitar comping and soulful melodic improvising. The enigmatic “Childhood Memories (Souvenirs D’Enfance)” is the other original that the violinist contributed to the session. It’s a tune that he wrote several years ago but hadn’t made it onto a recording until D-STRINGZ. The ballad is noteworthy in how Ponty switches the roles of lead voice and accompaniment with Clarke; it begins with Ponty plucking an intriguing pizzicato figure while Clarke bows a stunning melody on arco bass. When Lagrène enters, alternating between crisp chord strumming and single-notes, the song takes on a cinematic, Latin-tinge sensibility, which is heightened by Clarke’s second upright bass solo. Clarke contributed two compositions as well. He pays homage to two of his bebop heroes – pianist Bud Powell and alto saxophonist Charlie Parker – with the vivacious “Bit of Burd,” which utilizes familiar bebop chord changes. As Clarke steers the composition with a brisk mid-tempo, it becomes a splendid vehicle for all three to craft writhing improvisations while also demonstrating each member’s knack for comping. Clarke’s frisky “Paradigm Shift” first appeared in 2008 on Jazz in the Garden, a trio disc with drummer Lenny White and pianist Hiromi. The bassist penned the composition to commemorate the election of President Barack Obama, the United States’ first African-American president. Considering the collective prestige each trio member has in the electric jazz realm, the communal empathy and at times, the sizzling interactions demonstrated on D-STRINGZ will undoubtedly attract a wide spectrum of music fans. Hopefully these three iconic jazz figures will reunite for yet another rewarding rendezvous – this time, more sooner than later. Verve is Universal Music Group’s American contemporary label with an active artist roster that includes Andrea Bocelli, Diana Krall, Mark Knopfler, Ledisi, Dirty Loops, Sarah McLachlan, Yuna and Barry Manilow, to name a few. David Foster, a 16-time Grammy® Award-winning producer, has served as Verve’s Chairman since 2012. When Verve was founded in 1956, the label made a name for itself as the home of jazz legends including Ella Fitzgerald, Bill Evans, Nina Simone, Oscar Peterson, Stan Getz and Billie Holiday. Verve also controls the catalog of the legendary Impulse! Records, amongst many others. Stanley has been included in Volume 1 of American Music Pioneers Jazz Cards. The set of 35 cards is a compelling showcase of portraits designed to inspire, elevate and educate the recipient with striking hand-illustrated images and American Jazz history. Included are Stanley Clarke, Charlie Parker, Thelonious Monk, John Coltrane, Miles Davis, Billie Holiday, Wynton Marsalis, Herbie Hancock and many more! Designed to inspire jazz listening and learning, each of the exquisitely drawn portraits is accompanied by a brief bio and packaged in a high-quality, flip-top box. They can be purchased for $25 at https://www.americanmusicpioneers.com/shop/. For more information on the American Music Pioneer Jazz Cards and Stanley’s participation see https://www.americanmusicpioneers.com/musician.php?jazz=Stanley+Clarke&id=23. The collectible card format serves as a work of art and an educational guide for students of music and jazz aficionados of all ages. 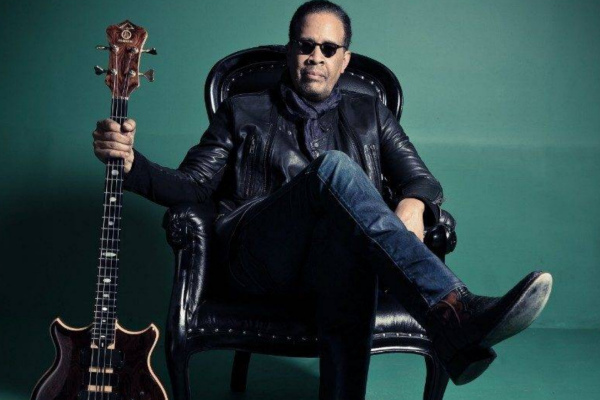 Stanley Clarke looks over his long film composing career, then and now and shares some thoughts. Turkey, France, Luxembourg, Netherlands, Sweden, Norway, Austria and Switzerland! In honor of Bach’s birthday! !